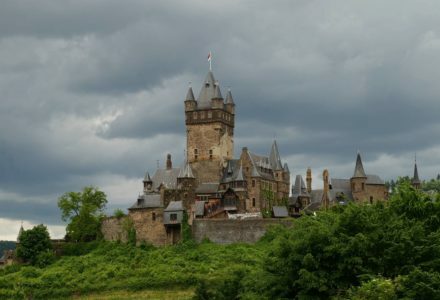 Whether you want to spend a culture holiday or rather prefer an active nature holiday – the Middle Moselle valley, located between Eifel and Hunsrück, is a very good place for both options. Below, you find various suggestions and tips to help you planning your holiday. If you have any questions please let us know! The river itself – highlight of your holiday! With all its turns and loops, the winding Moselle offers a lot of unexpected and spectacular views. Which surprise will wait behind the next bend? Enjoy our beautiful landscape on and in the river. Relaxation and fun for the whole family! for up to 8 persons (life jackets included). You can choose between 3-hour and 6-hour rates. The boat is fully insured. for up to 4 persons (life jackets included). You can choose between 3-hour or 6-hour rates. 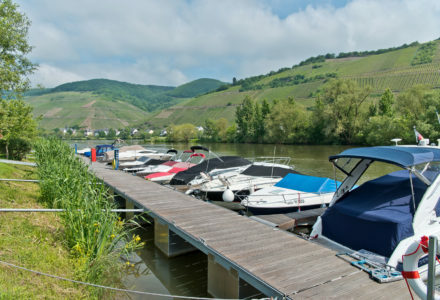 Discover the Moselle from a different perspective! 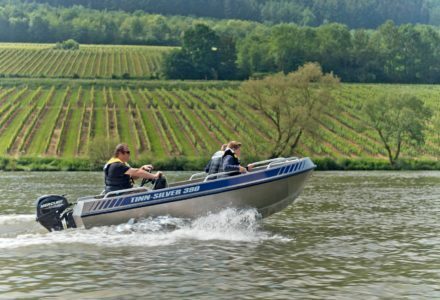 Discover the Moselle in an individual way! Make your own experience on the river itself, using your own power! 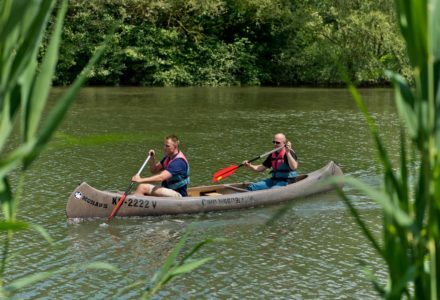 We have five 3-person canoes as well as two 2-person kayaks and three 1-person kayaks. A great adventure for young and old! The small wine town Zell and its surroundings offer a lot of possibilities to discover the lovely nature on a hike. 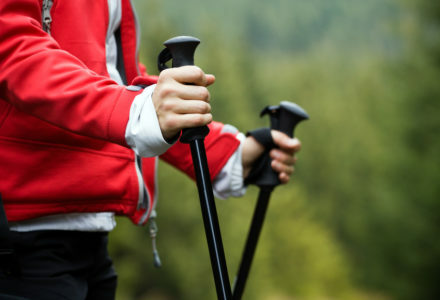 Apart from the famous and award-winning Moselsteig Trail with its side trails and dream paths, there are also many other themed hiking and trekking trails running through vineyards and forests. 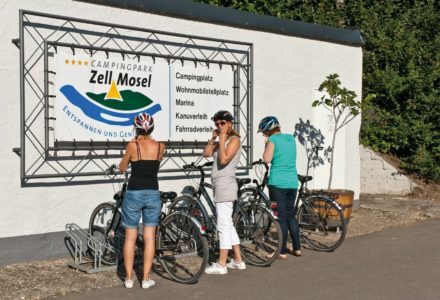 Thanks to the central location of Campingpark Zell you can start from here to discover the Hunsrück hills and, for example, visit the “Geierlay”, Germany’s longest suspension bridge. Exploring the region by bike is also a great experience. The Moselle Cycle Route is a very well-developed cycling network with excellent signposting. Its flat terrain is perfect for families with children and elder people. But mountain bikers will also love the region – there is more than one option for each level of difficulty. There are numerous places to rest in idyllic wine villages and towns as well as many cultural attractions and sights along the path. By using one of the excursion ships, the bicycle bus “RegioRadler” or the “Moselweinbahn” (Bullay – Traben-Trarbach) you can also do longer bike tours. During your stay in the Moselle valley you should not forget to enjoy a sociable wine tasting in a unique and cosy atmosphere. 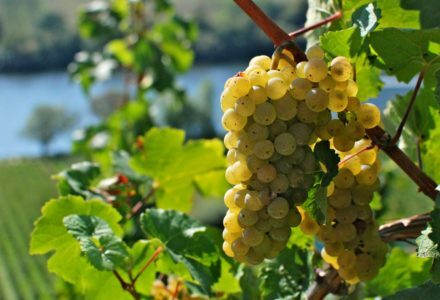 Learn all about the production of our famous Moselle wines. Enjoy your stay and listen to the stories told by the local wine growers. We are happy to help you to find a wine tasting, if desired also accompanied by delicious food. Over the centuries, many peoples and cultures have left their traces in the region. The Celts, the Romans and later on the turbulent history of the Middle Ages – there are a lot of historical highlights and sights to be discovered in the Moselle valley. We are happy to provide you with detailed information. 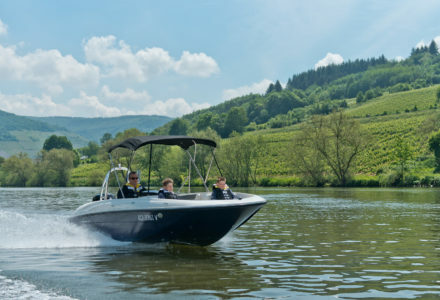 Due to its continuously improved water quality, the Moselle has remained an insider tip. 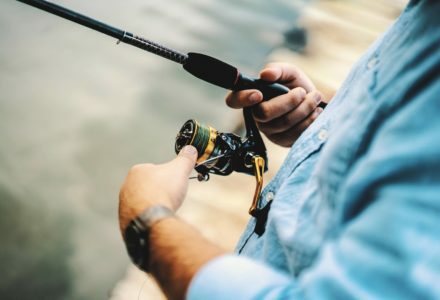 There are many hidden fishing spots where you can fish and maybe even catch one. We will help you with all the formalities and provide you with further information and tips. We sell one-day and one-week fishing licences. Playing golf and camping fit perfectly together. 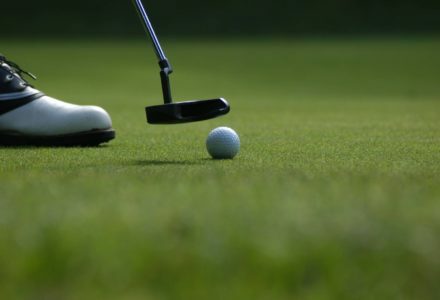 Just a few kilometres from our Campingpark, there are beautifully situated golf courses – another advantage of our central location. Please contact us for more information.